The Daily History Lessons will return on August 6, but in the meantime, there were several events on August 4 that deserve your attention. 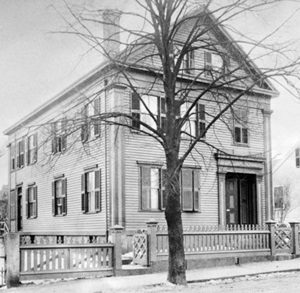 1892 – Andrew and Abby Borden, elderly residents of Fall River, Massachusetts, were found bludgeoned to death in their home. Lying in a pool of blood on the living room couch, Andrew’s face had been nearly split in two. Abby was found upstairs with her head smashed to pieces. Despite the fact that fingerprint testing was already becoming commonplace in Europe at the time, the police were wary of its reliability, and refused to test for prints on the murder weapon – a hatchet – found in the Borden’s basement. 1914 – In response to the German invasion of Belgium, Belgium and the British Empire declared war on Germany. 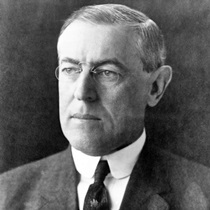 The American neutrality would remain in effect until April 1917, after several ships carrying Americans had been sunk by the German navy. 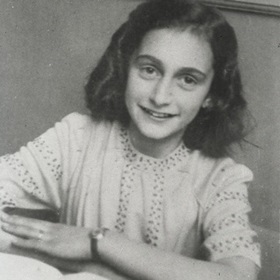 1944 – Anne Frank, a German-born Jewish girl, and her family, who had been hiding in German-occupied Holland, were found by the Gestapo and transported to various concentration camps. She died of typhus at the Auschwitz concentration camp, in March 1945, not long before the camp was liberated by the Allies. The young girl’s diary of her time in hiding was found after her death and published. The Diary of Anne Frank remains one of the most moving testimonies to the invincibility of the human spirit in the face of inhuman cruelty. 1953 – Speaking before the Governor’s Conference in Seattle, President Dwight D. Eisenhower warned that the situation in Asia was becoming “very ominous for the United States.” In the speech, Eisenhower made specific reference to the need to defend French Indochina from the communists. 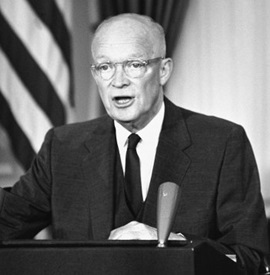 According to Eisenhower, communist victory in Indochina would have far-reaching consequences. 1964 – The remains of three civil rights workers whose disappearance on June 21 garnered national attention were found buried in an earthen dam near Philadelphia, Mississippi. 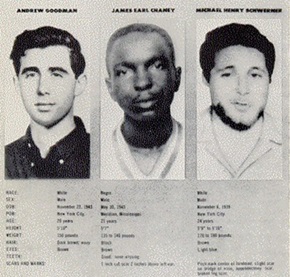 Michael Schwerner and Andrew Goodman, both white New Yorkers, had traveled to heavily segregated Mississippi in 1964 to help organize civil rights efforts on behalf of the Congress of Racial Equality (CORE). The third man, James Chaney, was a local African American man who had joined CORE in 1963. The disappearance of the three young men led to a massive FBI investigation that was code-named MIBURN, for Mississippi Burning. Four months later, nineteen men were indicted by the U.S. Justice Department for violating the civil rights of Schwerner, Goodman, and Chaney (charging the suspects with civil rights violations was the only way to give the federal government jurisdiction in the case). After nearly three years of legal wrangling, in which the U.S. Supreme Court ultimately defended the indictments, the men went on trial in Jackson, Mississippi. An all-white jury found seven of the men guilty. Nine were acquitted, and the jury deadlocked on three others. The mixed verdict was hailed as a major civil rights victory, as no one in Mississippi had ever before been convicted for actions taken against a civil rights worker. In December, U.S. District Judge William Cox, an ardent segregationist, sentenced the men to prison terms ranging from three to 10 years. After sentencing, he said, “They killed one n*****, one Jew, and a white man. I gave them what I thought they deserved.” None of the convicted men served more than six years behind bars. On June 21, 2005, the forty-first anniversary of the three murders, Edgar Ray Killen, was found guilty of three counts of manslaughter. At eighty years of age and best known as an outspoken white supremacist and part-time Baptist minister, he was sentenced to 60 years in prison. 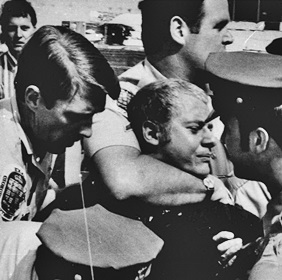 1972 – Arthur Bremer was convicted for the attempted assassination of Alabama Governor (and presidential candidate) George Wallace in May 1972. He was sentenced to 63 years in prison. Bremer was released from prison on November 9, 2007, at the age of 57, having served 35 years of his original sentence. His probation ends in 2025.